This information is for adults. If a child is injured, see Pain relief for children with broken bones. For the first few days after a sprain or broken bone there will be swelling around your injury, and you will feel some pain. The casts, elastic bandages, rest and ice treatment your doctors prescribe will help to reduce this. Usually you will also need to take pain-relieving medicine. You should only take pain medicine – whether it's prescribed by your doctor, or you buy it over the counter – at the dose you are told. Never take more because you think it will work better. It won't, and it could have dangerous side effects. Your doctor, nurse or pharmacist will be able to give you advice about what to take and how to take it. Your doctor will also provide you with a prescription if they think you will need a medicine that you can't buy over the counter. A few common medications are recommended for use after an injury. People often think paracetamol won't be strong enough to treat their pain, but it is actually a very effective medicine if you take it at the right dose and at regular times through the day. As long as you take it correctly it is a very safe medicine and it has very few or no side effects for most people. The usual adult dose is two 500 mg tablets every six to eight hours, but no more than four times in 24 hours. 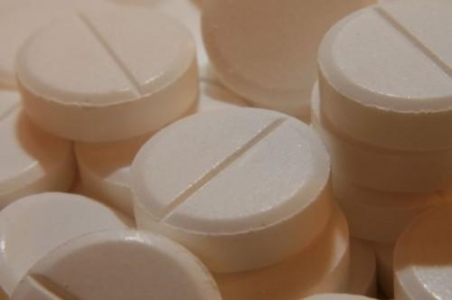 If you are taking paracetamol for a longer time your doctor may recommend you only take it three times in 24 hours. This is also a very effective pain medicine and is generally safe for most people. Check with your GP or pharmacist if you are not sure if you can take ibuprofen, for example if you have had a stomach ulcer, heart or kidney problems. Don't take ibuprofen if you have broken a bone. The anti-inflammatory effect may slow down bone healing. Ibuprofen can help reduce swelling and pain in soft-tissue injuries such as ankle sprains. The usual adult dose is two 200 mg tablets every six to eight hours, but no more than three times in 24 hours. You should take ibuprofen with food. This is one of a group of stronger pain relievers, called opioid medicines. It works well with paracetamol. Panadeine is a combined paracetamol and codeine tablet, which you can buy from a pharmacy in small amounts. Your pharmacist will usually ask you a few questions about your condition to make sure that this is the right medication for you. Your doctor can prescribe codeine tablets. Most people are fine with codeine and it can be good for short-term pain relief. Make sure you drink plenty of water so you don't get constipated. Once your pain starts getting better, stop taking as much codeine, or stop it altogether if you can. People can become addicted to codeine if they don't take it properly. You may be prescribed these if you have a more severe injury. These are strong medicines and can have quite a few side effects. It is important to see your GP if you are taking this type of medicine so that they can advise you how to take it safely, and supervise you as you reduce the amount you are taking. Written by HealthInfo clinical advisers. Endorsed by director of nursing, Orthopaedics Services, Canterbury DHB. Last reviewed September 2017. Last updated May 2018. My Medicines medication leaflets – Paracetamol and Ibuprofen. My Medicines medication leaflets – Codeine.